Man Utd manager Ole Gunnar Solskjaer praised his side after yesterday's 2-1 victory over Watford and told reporters after the game that the club are in the driving seat for a top 4 position after the win. OGS has turned around United's fortunes since arriving back at the club and United are now on course for a Champions League qualification spot for next year. Despite having the likes of Tottenham, Arsenal and Chelsea all breathing down Manchester United's neck, the Norwegian manager insists that the club are now in the driving seat after the win over Watford. 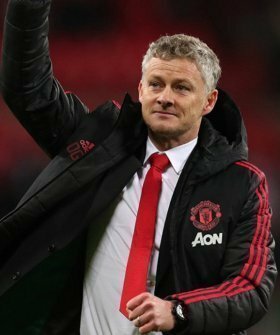 Solskjaer proudly told reporters after the game: "There are four very good teams are challenging for two places [in the top four]. We are almost in the driving seat. We have given ourselves a good chance." United have an important set of games for the run in, including a huge Champions League encounter, but Solskjaer remains convinced the club will finish ahead of their rivals in the league table. Solskjaer last week signed a contract to become Manchester United manager on a permanent basis.